“The airless atmosphere has asphyxiated the referent.”-Jean Baudrillard. 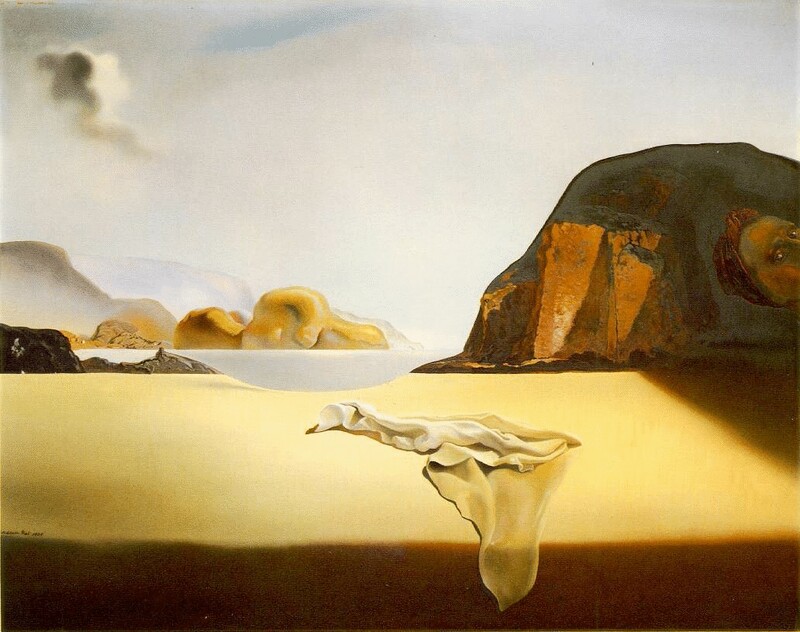 The image shows “The Transparent Simulacrum of the Feigned Image” by Salvador Dalí. On September 2nd the Prime Minister visited Ashulia to lay the foundation for the ‘first’ women’s dormitory in the RMG hub. In her speech to the garments workers, she spoke, among other things, about being vigilant of those who conspire against the industry. Singapore, somehow, I ended up on Street 19. A discreet odd numbered street address. The on-line booking for a hotel, done in a haste for a visa for Thailand, where I had lived all my life but was not a permanent resident or citizen, led me and my mother to an infamous street…as infamous as things get in that island city-state. We spent the night ‘not’ staring through the curtains of that box-yellow room, out at the blue-dresses and demure hitchhiking of the night girls in the Chinese brothel. How did you manage to get me here. I shut them, one by one, and as the cough lingers…wonder what it was like, that death by smoke, since touching a flame never insinuated burning by fire. Remember, remember… The twenty-fourth of November. What kind of conspiracy keeps the owner of a factory with in the premisis half an hour before the fire breaks out? Keeps supervisors on the panopticon of the locked door… The circle here is not even purgatory, our barbed spaces are still linear, upward and downward. No great need for some great tower. The third stage masks the absence of a profound reality, where the simulacrumpretends to be a faithful copy, but it is a copy with no original. Signs and images claim to represent something real, but no representation is taking place and arbitrary images are merely suggested as things which they have no relationship to. Baudrillard calls this the “order of sorcery”, a regime of semantic algebra where all human meaning is conjured artificially to appear as a reference to the (increasingly) hermetic truth. And what is more real still: Fakir-Buddhijibira, Sadhu-bachanor lorai te namche aro koto jon. April overshadowed November. And will September overshadow the entire journey by sign? ‘Noka markai Vote dan.’ A sign without a history. The most potent sign it seems. Songs evade signs sometimes..music is hunger without reason. Previous India sneezes, will we catch the cold?